Berkshire East Ski Resort–Red Roof Inn South Deerfield is located just 26 miles away. Peek N’Peak Ski Area– Red Roof Inn Jamestown – Falconer is 31 miles away. Holiday Valley Ski Area– Red Roof Inn Jamestown – Falconer is 34 miles away. Kissing Bridge Ski Resort – Red Roof Inn Hamburg is just 20 miles away. Whitetail Ski Resort– Red Roof Inn Hagerstown – Williamsport is just 15 miles away. 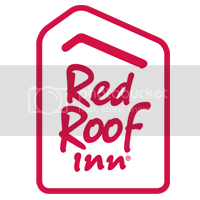 Blue Mountain Ski Area– Red Roof Inn Allentown Airport is just 20 miles away. Montage Mountain Ski and Recreation Area– Red Roof Inn Wilkes-Barre Arena is just 16 miles away. Ober Gatlinburg Ski Resort – Red Roof Inn Pigeon Forge – Parkway is just 9 miles away. Wintergreen Ski Resort– Red Roof Inn Staunton is 27 miles away. Plan your ski adventure today and be sure to stay at a budget friendly Red Roof Inn to get the most out of your winter trip!